1. Pre heat your oven to 200C / 180C (fan) / gas mark 6. 2. Tear up your bread and place in a food processer, then blitz until rough breadcrumbs have started to form. Add the Oak Smoked Yorkshire Rapeseed Oil, garlic and seasoning and blend further until all the ingredients are combined. 3. 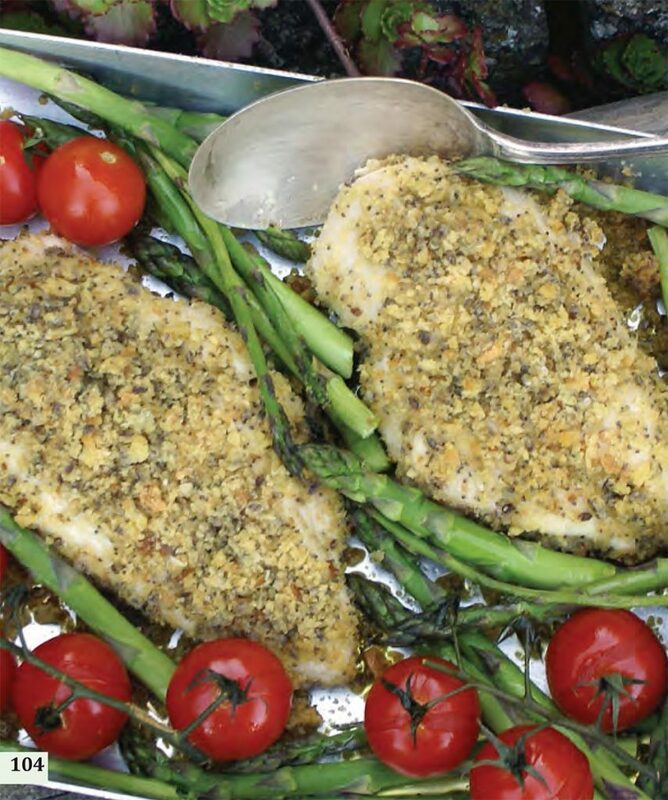 Place the chicken breasts in an oven proof dish and, using your hands, press the breadcrumb mixture onto each piece until they are all covered. Bake in the oven for 30 minutes. 4. Remove the chicken from the oven and lay the asparagus and tomatoes in the dish alongside it. Drizzle a touch more of the Oak Smoked Yorkshire Rapeseed Oil over the vegetables and return to the oven for a further 7-10 minutes until the asparagus is cooked (be sure not to let it over cook). 4. We like to serve this with new potatoes tossed in a mint and balsamic dressing. 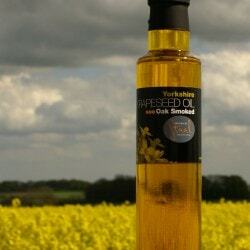 Adam and Jennie Palmer produce amazing award winning rapeseed oil, dressings and mayonnaise at their farm in Thixendale, nr Malton (www.yorkshirerapeseedoil.co.uk) The smoked oil is a result of lots of trails and tasting together. 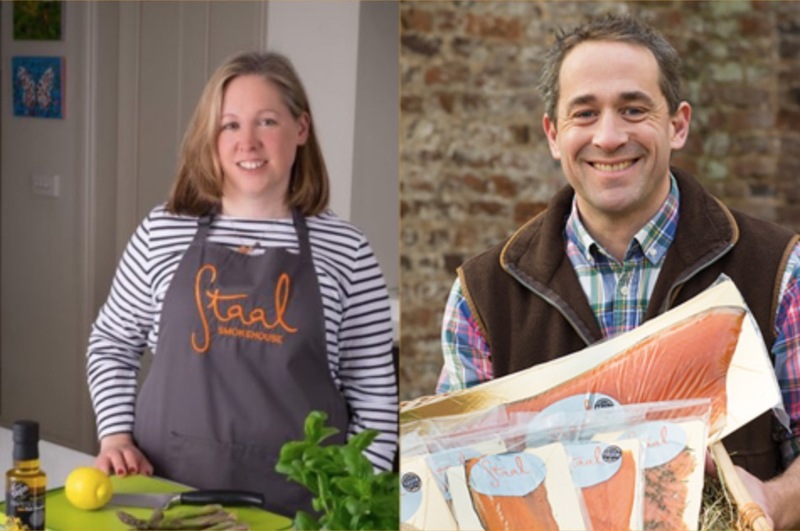 We are not alone in loving the oil as it has recently been awarded ‘Best Cooking Oil’ in the Great British Food Magazine awards.